What is the Civil Penalty for Knowingly Violating HIPAA? Home » HIPAA Compliance News » What is the Civil Penalty for Knowingly Violating HIPAA? The Health Insurance Portability and Accountability Act – HIPAA – is a federal law that applies to healthcare organizations and healthcare employees. HIPAA requires healthcare organizations to develop policies and procedures to protect the privacy of patients and implement safeguards to ensure the confidentiality, integrity, and availability of protected health information (PHI). HIPAA places restrictions on the uses of health data, who can be provides with copies of health information, and gives patients the right to obtain copies of their health data. HIPAA covered entities are typically healthcare providers, health plans, and healthcare clearinghouses. HIPAA also applies to vendors and suppliers (business associates) that require access to PHI to perform their contracted duties. As with other federal laws, there are penalties for noncompliance. The financial penalties for HIPAA violations can be severe, especially when HIPAA has been “knowingly” violated – When HIPAA Rules have been consciously violated with intent. 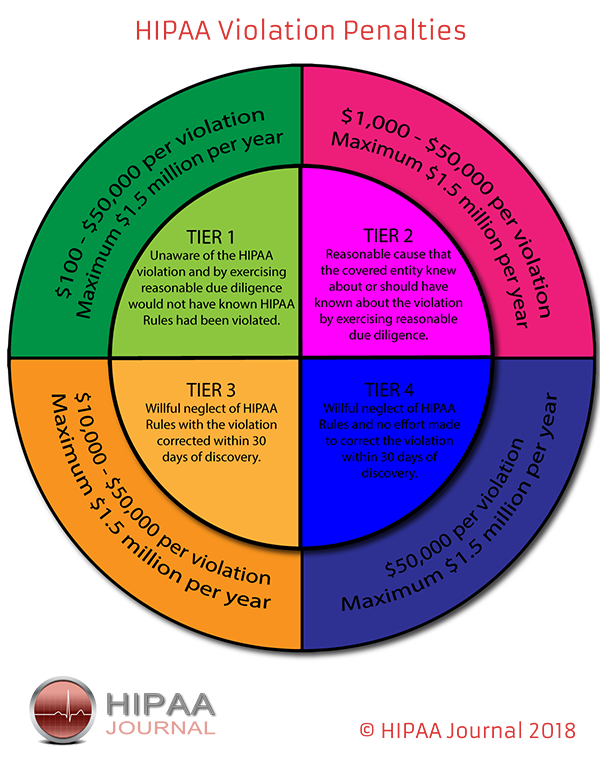 The civil penalty tier system for healthcare organizations is based on the extent to which the HIPAA covered entity was aware that HIPAA Rules were violated. The maximum civil penalty for knowingly violating HIPAA is $50,000 per violation up to a maximum of $1.5 million per violation category. Civil penalties will be dictated by the nature and extent of the violation, the number of individual affected, and the harm that has been caused to those individuals. As with healthcare organizations, healthcare employees can also be fined for violating HIPAA Rules. Civil penalties can be issued to any person who is discovered to have violated HIPAA Rules. The Office for Civil Rights can impose a penalty of $100 per violation of HIPAA when an employee was unaware that he/she was violating HIPAA Rules up to a maximum of $25,000 for repeat violations. 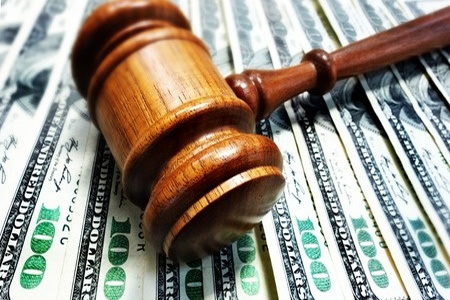 In cases of reasonable cause, the fine rises to $1,000 per violation with a maximum of $100,000 for repeat violations, for willful neglect of HIPAA Rules where the violation was corrected the fine is $10,000 and up to $250,000 for repeat violations and willful neglect with no correction carries a penalty of $50,000 per violation and up to $1.5 million for repeat violations. The Office for Civil Rights enforces HIPAA Rules in conjunction with the Department of Justice and will refer cases of possible criminal violations of HIPAA Rules to the DoJ. Directors, officers, and employees may be deemed to be criminally liable for violations of HIPAA Rules under the principle of corporate criminal liability, and if not directly liable, could be charged with aiding and abetting or conspiracy. The penalty tiers are based on the extent to which an employee was aware that HIPAA Rules were being violated. At the lowest level, a violation of HIPAA Rules could attract a maximum penalty of $50,000 and/or up to one year imprisonment. If HIPAA Rules are violated under false pretenses the maximum fine rises to $100,000 and/or up to 5 years imprisonment. The maximum civil penalty for knowingly violating HIPAA Rules is $250,000, such as when healthcare information is stolen with the intent to sell, transfer, or use for personal gain, commercial advantage, or malicious harm. In addition to a fine, the maximum jail term is 10 years. In addition to the punishment provided, aggravated identity theft carries a prison term of 2 years. When PHI has been stolen and patients have been defrauded, restitution may also need to be paid.